Heading to the slopes of Vail or Beaver Creek? There are also a wealth of places outside the ski resorts that locals say you can’t miss. Here's five that highlight the diverse topographical and cultural makeup of the 1,692 square mile county. This place has everything. Or nearly everything. Opened in 1966, the Eagle Pharmacy on Broadway Street sells everything from scented candles to motor oil. For locals, it’s the place to go to get necessities without having to travel to Vail or Glenwood Springs. This hidden local hot spot is about an hour from Dotsero off Colorado River Road. The stunning country is almost the opposite of the alpine terrain at mountain ski resorts up valley. This is ranching country. Access to the Colorado River is reached by a small point surrounded by private ranch land. Locals warn it’s illegal to stray from the small area, but the views are breathtaking and worth the trip. The mountain town of Red Cliff, 20 miles north of Leadville, has the distinction of being the oldest town in the county. It used to be the seat of government until the more populated town of Eagle took over. Red Cliff is also the highest incorporated town in the U.S.
A true western mining town, its narrow streets and Victorian houses sit underneath the long Red Cliff Bridge spanning the Eagle River. Take scenic Highway 24 and make a sharp left just at the start of the bridge to get into Red Cliff. Locals in the area say Mango’s Restaurant is a place not to miss, but be sure to give them a call; hours are irregular. Home to a former gravel company, the Eagle River Preserve is a recent addition to Eagle County Parks and Open Space. Right off I-70 in Edwards, locals usually can be found taking a work break for a quick hike or munching a calming lunch next to the Eagle River. It’s popular because it’s close to civilization but still feels secluded. The county spent $12 million securing the land and an abandoned home which remains at the park. The county is working to restore it into a welcome center. Are you a plane spotter? 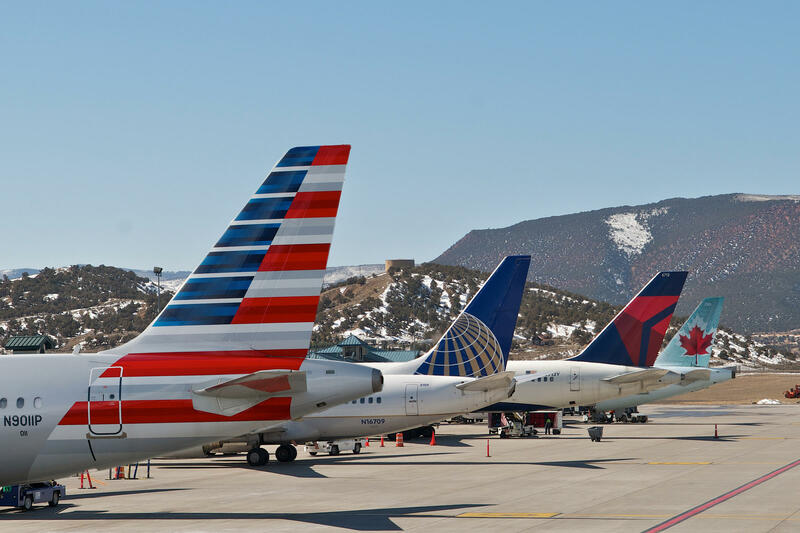 While it may not be glamorous or visually stunning, locals say the Costco next to the Eagle County Regional Airport is one of the best places to see the many planes taking off and landing. For sheer joy of watching, CNN ranked it alongside JFK in New York and O’Hare in Chicago. Located off Cooley Mesa Road in Gypsum, locals said the parking lot sits just below the airport’s single runway and offers prime viewing of the many general aviation, as well as commercial flights that converge on the airport each winter. Know of any other can’t miss spots in Eagle County, or in your neck of the woods? Let us know in the comments below. Built in 1890, the First Evangelical Lutheran Church has the distinction of not being the earliest constructed building in Eagle County, but the oldest still standing. Facing dwindling parishioners, the 124-year-old church on the corner of Eagle Street and Second in Gypsum, Colorado is now looking to that long history for its salvation. Colorado’s first woody biomass power plant is nearly complete. Senator Mark Udall and State Senator Gail Schwartz toured the facility in Gypsum on Friday, where wood cuttings from beetle kill trees will be turned into electricity. Aspen Public Radio’s Marci Krivonen explains. Heavy machinery is moving dirt around at a construction site not far from Interstate 70. The area used to be grazed by cows. Now, it’s being transformed into an industrial site, complete with two smokestacks and metal ramps surrounding a tall, main building. As you drive through Eagle County, it's no surprise that the area is making a living on the hills that bookend the Interstate. There's plenty of world class skiing to be had in Vail or Beaver Creek. Continue on down the road though, and you'll find another part of the valley making a different living off those hills: Gypsum, Colorado. Amy Ford / CDOT- Flickr. Used with permission. “It will include a variety of things including a water delivery system, a fiber optic linear heat detection system, and a new drainage system so we can better address any fires that happen in the tunnel,” said Colorado Department of Transportation Spokeswoman Emily Wilfong.